Tarmac driveway resurfacing company in Hertfordshire. 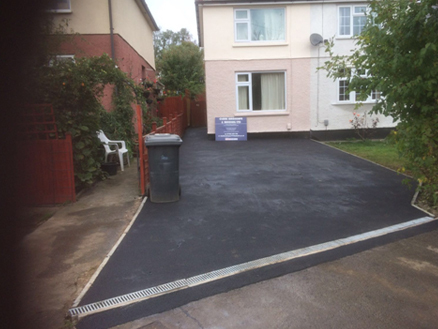 Tarmac has always been an obvious choice for a driveway due to it being flexible, durable, easy to install, virtually maintenance free and good value for money. 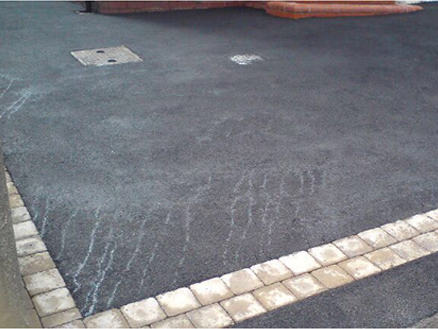 Tarmac is also a great material to use to create pathways, playgrounds, forecourts, tennis courts, carparks and roads. Our team at Clark Landscapes & Building Ltd have a wealth of knowledge and know how in installing the perfect hard wearing tarmac driveway. We also welcome enquires from commercial customers looking for a carpark, road or forecourt to be designed and installed. Tarmac should always be laid by a professional company following the correct guidelines to ensure your driveway is installed correctly and will therefore last for many years to come. Firstly, the site should be properly levelled and laid to adequate falls that will drain the surface water to a suitable drainage point. If this is not organised from the onset of the installation, once the driveway comes into contact with heavy rain, puddles will appear as the water will not be able to drain away sufficiently. If water cannot drain away it will stay standing on your driveway and in the long run the water will start to erode the surface. At Clark Landscapes & Building Ltd, we can help with the repair and maintenance of your existing tarmac drive too. If you need some repairs or holes filling in then contact our team. They will advise you if your driveway can be repaired or resurfaced or if it is better to have a completely new one installed, contact us to organise a home visit to discuss your requirements. We take no deposits, we are fully insured and we do not use subcontractors. Our team at Clark Landscapes & Building Ltd carry out all of the work ourselves without relying on subcontractors so you can rest assured your project will be handled professionally at all times. Call us today on 07468 889446.